Two women accused of poisoning the estranged half brother of North Korea's leader arrived at court Wednesday for closing arguments in a murder trial that could send the women to the gallows. They are the only suspects in custody, although prosecutors say four North Koreans who fled the country on the day of the attack were the masterminds. The crux of the case revolves around whether the women intended to kill Kim or if they truly were scapegoats duped by North Korean agents into taking part in a cold-blooded murder. Defense lawyers have told the court that the women's conduct in not escaping or getting rid of their VX-tainted clothing showed their innocence, and that the murder was a political assassination. "No scapegoats can accomplish this mission. You must be trained. No room for failure," prosecutor Wan Shaharuddin Wan Ladin told The Associated Press before the court session began. Kim, the eldest son in the family that has ruled North Korea since its founding, had lived abroad for years after falling out of favor. It was thought he could have been seen as a threat to Kim Jong Un's rule. 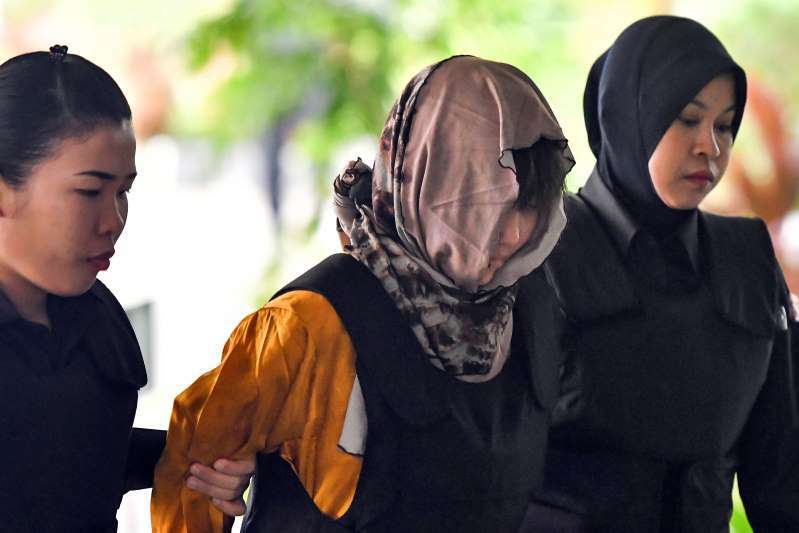 Malaysian officials have never officially accused North Korea of involvement in Kim's death and have made it clear they don't want the trial politicized.